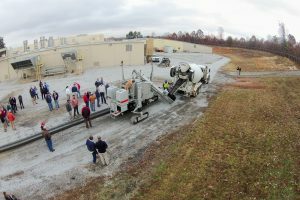 Power Curbers & Topcon Position Systems will be presenting the Millimeter GPS 3D Expo on Tuesday, November 15 at the Power Curbers factory in Salisbury, NC. This event will include a live onsite demonstration of Topcon’s Millimeter GPS stringless machine controls on the Power Curber 5700-C, as well as factory tours and information sessions with Power Curbers and Topcon experts. Lunch will be provided. The demonstration will be held outside; please dress appropriately for the weather. For more information, contact Product Support at 704.647.6141.